was founded in 2009 as a logical consequence of then already ongoing collaborations between the Platypus New Music Group and the musicians of the Ensemble-to-be. The explicit ambition of the new body of musicians, conductors and composers is to stimulate the production and performance of music by young composers around the world, as they presumably have fewer chances to succeed with their art in public. Since 2009, the ensemble performed (and in many cases premiered) works by more than 200 composers, many of the pieces having been commissioned by and written explicitly for Platypus, resulting in an ever-increasing number of world-premieres for the Ensemble Platypus. 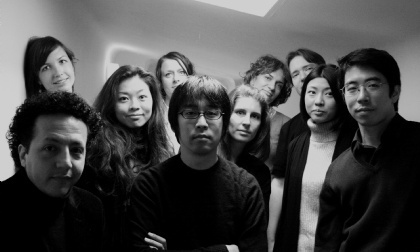 The Ensemble was repeatedly invited to festivals like Wien Modern, Klangspuren Schwaz and the Biennale of New Music in Curitiba (BR) and gave concerts in Austria, Mexico, Germany, Czech Republic and Brazil. Institutional partners include the MICA (Music Information Centre Austria), the Jeunesse Musicale, the Austrian Society for Contemporary Music, the IGNM / ISCM as well as the Wiener Konzerthaus and theUniversity for Music and Performing Arts Vienna.